The European Cup is played over 2 or 3 rounds annually. 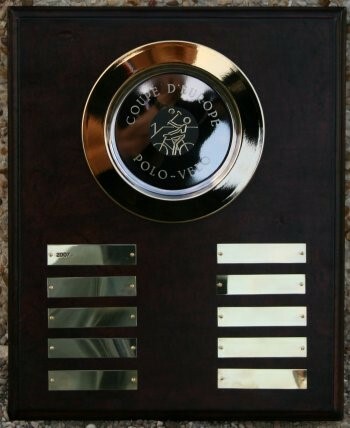 It is the most prestigious trophy in traditional (grass) Bike Polo in Europe. Teams from France, England, Ireland, Scotland and Germany have competed in the competition since its inception in 2007. Pédales Varengevillaises from Rouen, France have won the competition 4 times and Vélo-Club de Frileuse et Sanvic from Le Havre, France 3 times. Oakenden Bike Polo have hosted a competition every year since 2007 (when the British round of the European Cup was held in York), since 2008 at Vigo in Kent. The winners of each round are awarded 20 points, the runners-up 18 points, then 16, 14, 12,10, 9, 8, 7, 6, 5, 4, 3, 2, 1. The points from each round are added to determine the final ranking.